A fragment from the skull of a prehistoric child provides the oldest-known evidence of anaemia caused by malnutrition – suggesting that hominids were regularly eating meat much earlier than previously thought, archaeologists say. While it is known that early human ancestors did eat meat, it was not previously certain whether this was something consumed frequently, or only a sporadic part of their diet. Now new research published in the open access journal PLOS ONE suggests that meat-eating was common enough 1.5million years ago that not consuming it could lead to anaemia. The skull fragment, thought to belong to a child aged younger than two, was found during ongoing excavations at Olduvai Gorge, Tanzania, led by Manuel Dominguez-Rodrigo from Complutense University, Madrid. 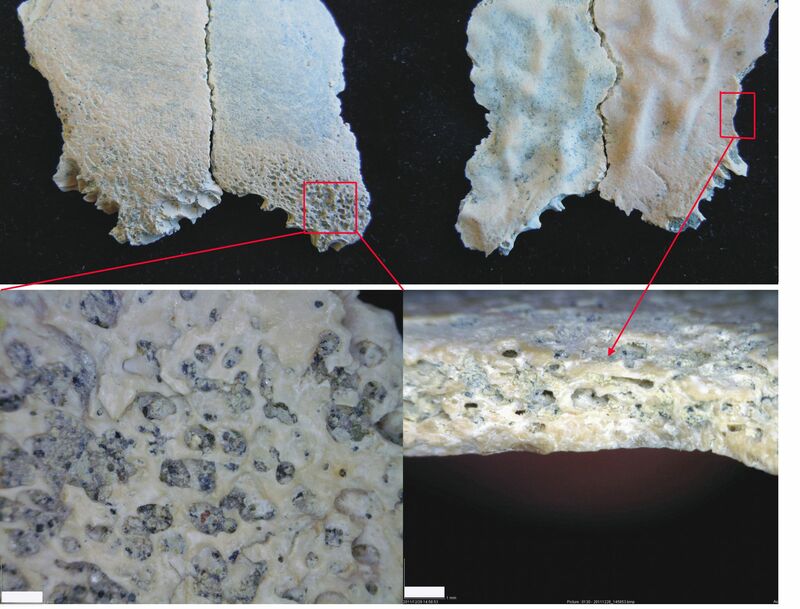 Close examination of the piece of bone revealed lesions that commonly result from a lack of B-vitamins in the diet – the first time that such lesions have been observed in a hominid fossil from the early Pleistocene record. Nutritional deficiencies such as anaemia are most common in children during weaning, when an infant’s diet changes significantly. It is thought that the Olduvai Gorge child may have died when he or she was first starting to eat solid foods but had little access to meat, or if they were still breastfeeding, that their mother might have suffered from malnutrition due to lack of meat, which would have affected the B-vitamin content of her milk. Either case would imply that ‘early humans were hunters, and had a physiology adapted to regular meat consumption at least 1.5million years ago,’ say the authors.